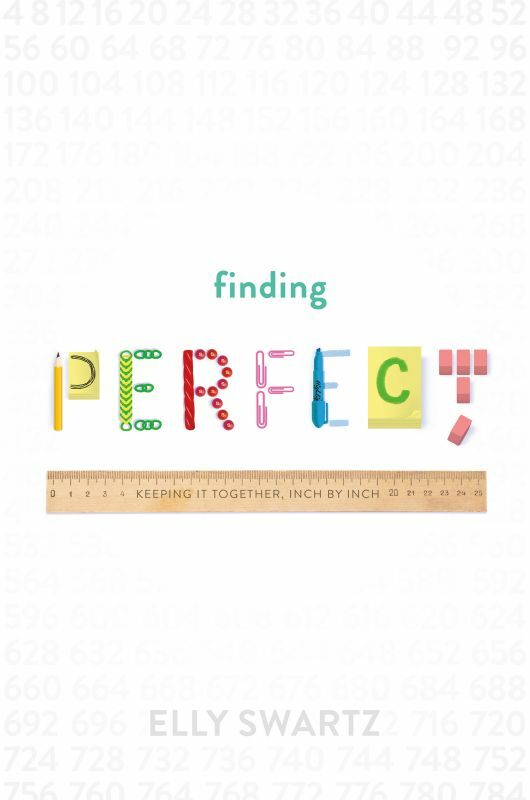 Rebecca Van Slyke’s Exciting Picture Book News! Some things take a long time in arriving, and others take a long time in arriving out into the public sphere. 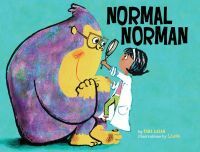 Such is the case with a fabulous and thoroughly charming picture book by the talented Rebecca Van Slyke. Although this deal came together some months ago, additional time was taken to locate just the right illustrator to bring this amazing story to life. Catherine Onder at Bloomsbury has acquired world rights to Monster's Trucks, a picture book by Rebecca Van Slyke, author of Mom School and Where Do Pants Go?. The book follows a monster who absolutely will not let you touch his trucks—but what happens if you go ahead anyway? The book will be illustrated by Joe Sutphin, illustrator of James Patterson and Chris Grabenstein's Word of Mouse. Publication is slated for fall 2018; Ammi-Joan Paquette of Erin Murphy Literary Agency represented the author and Edward Maxwell at Sanford J. Greenburger Associates represented the illustrator. A DARKLY BEATING HEART is out in the world! Lindsay Smith's A DARKLY BEATING HEART is out in the world today! A troubled girl confronts her personal demons in this time-travel thriller alternating between present day and 19th century Japan. Huge congratulations on the release of A DARKLY BEATING HEART, Lindsay! Tara Lazar’s WHIZBANG WORD BOOK! So, with all that, it's perhaps not surprising that Tara's next book takes this love of words one step further. Yes, ladies and gentlemen: We're talking about a genuine book of words—word appreciation, word definitions, word love. THE WHIZBANG WORD BOOK will be all of those things and more, incorporating activities, fun facts, and zany illustrations into a book that's bound to ring the bells in any reader's heart. THE WHIZBANG WORD BOOKS was acquired by Kelly Barrales-Saylor at Sourcebooks Jabberwocky, and will be coming your way in Fall 2018. Stay tuned! We have three reasons to celebrate today - three amazing new books are out in the world! 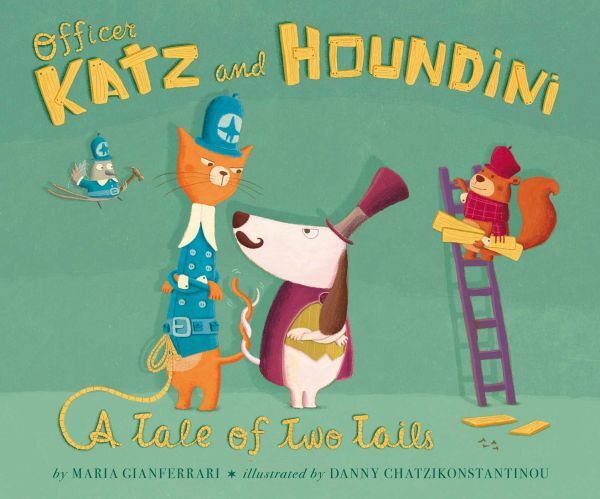 Maria Gianferrari's OFFER KATZ AND HOUDINI: A TALE OF TWO TAILS, Elly Swartz's FINDING PERFECT, and Elaine Braithwaite Vickers' LIKE MAGIC! Huge congratulations to you all! We're so thrilled for readers to get their hands on your books. 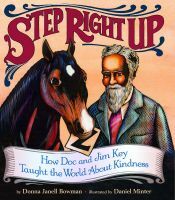 STEP RIGHT UP is out today! Donna Janell Bowman's STEP RIGHT UP is out in the world today! Please join us in celebrating this incredible book. Huge congratulations, Donna - we're so thrilled for you! We're so thrilled to be celebrating the release of Megan Morrison's DISENCHANTED: THE TRIALS OF CINDERELLA! Please join us in welcoming us this fantastic book into the world - congratulations, Megan! It is so delicious to see what illustrators get matched with the picture book texts we represent. Sometimes we sell a text months before an illustrator is on board and it's a very long wait for news. Today we have one that was very much worth waiting for. Liz Garton Scanlon's FRANCES IN THE COUNTRY is about a city girl who needs a taste of wide-open country life, where "ladders are for leaping and showers are for splashing and fields are crowded with creatures and cowbells and cud"—and she gets that taste...and soon also remembers what the city is good for. Neal Porter signed this delicious project awhile ago, and then recently he let us know who he had in mind to illustrate, and Liz and I were immediately over the moon, for it's Sean Qualls! Oh, this pairing is going to be magnificent. We're looking forward to this one in fall 2018. Huge congratulations, Liz! THE NIAN MONSTER is a star! 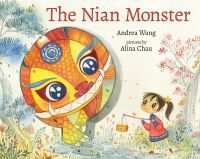 Andrea Wang's THE NIAN MONSTER received a wonderful, starred review from Publishers Weekly! Huge congratulations, Andrea - we are so excited for the release in December! "Wang's story thrills but doesn't threaten: Chau's wonderfully vivid watercolors give the monster doe eyes and a round body that make him seem like a cranky, overgrown teddy bear, and Wang shares cultural information about the Chinese New Year with the lightest of touches." Cat is back, just in time for the holiday season! 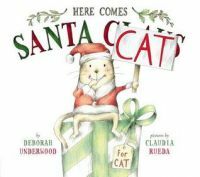 The paperback of Deborah Underwood's HERE COMES SANTA CAT is out today - congratulations, Deborah! Back to the LAND OF TYME with Megan Morrison! If I've said it once I've said it a dozen times: There's no window into the fairy-tale-world-with-a-twist that's quite like Megan Morrison's Land of Tyme series. Beginning with GROUNDED: THE ADVENTURES OF RAPUNZEL, which received starred reviews from Kirkus and BCCB, this rich and intricate world is by turns intricate, enchanting, and astonishing. But what I'm here to cheer for today is neither of the above, but a third installment in this praiseworthy series. Yes, readers of all stripes, book #3 in the Land of Tyme—TRANSFORMED: THE PERILS OF THE FROG PRINCE—has been acquired, once again by the luminous Cheryl Klein at Arthur A. Levine Books, for publication in 2017. Seriously, folks: this is a series you won't regret losing yourself in. But don't take my word for it. Send along your congratulations to Megan, then run to the bookstore today and get started reading!